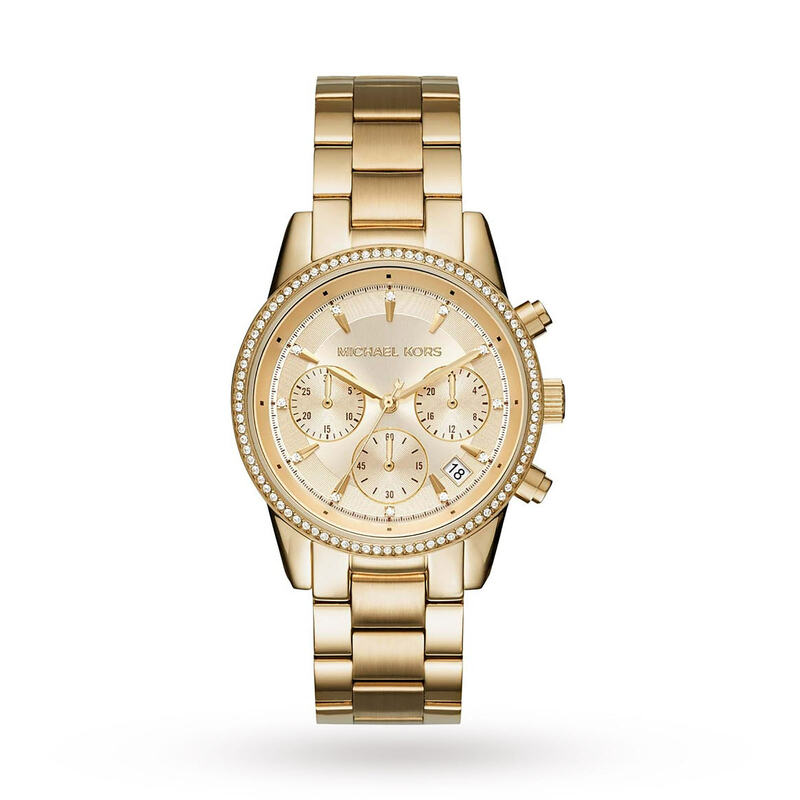 Ladies can shine in all their golden glory with this stunning MK6356 from Michael Kors. A fashionable set of gold links creates the shimmering stainless steel bracelet, completed with a deployment clasp. 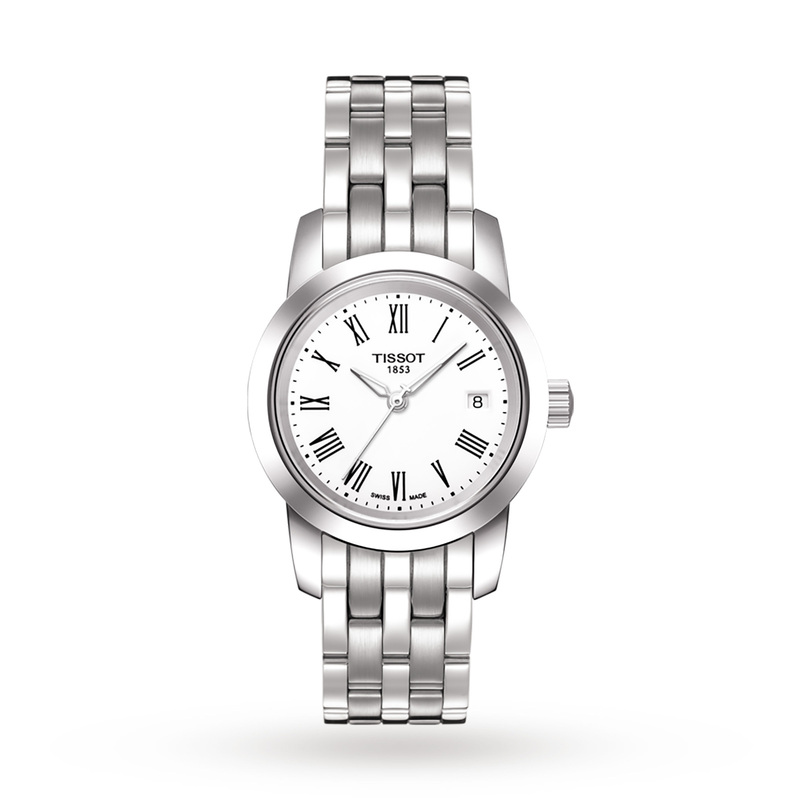 The eye-catching watch face of this superb wristwatch is surrounded by a sparkling bezel full of crystal stones. The champagne analogue display is decorated with golden features and crystal stones to mark the hours. 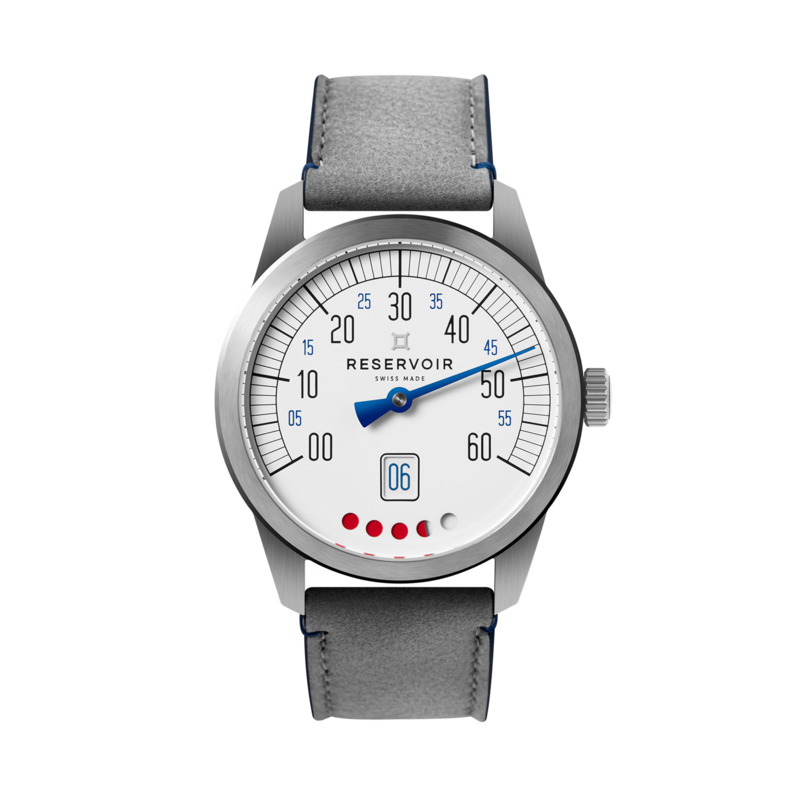 Chronograph subdials and a mini date window are nestled in the centre of the watch face for added functionality.